Sarah is a member of the military preparing for deployment overseas from 4/21/2019 – 4/21/2020. 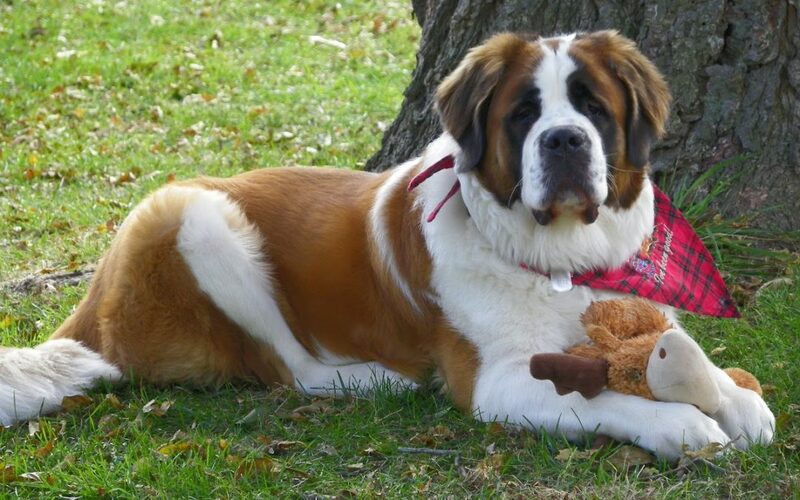 She is looking for a foster family to take in her beloved St Bernard, Bear, near Trenton, Illinois. Bear and Sarah have been companions for the last 3 years, and Sarah cannot imagine having to give him up and lose him completely. Bear is a 3-year old ball of fur who doesn’t seem to realize his 165 lbs size. In his mind a lap dog, Bear loves to cuddle with anyone he meets, and is especially great with young children and other dogs! He is a lazy teddy bear who just wants to be loved and knows no strangers. Can you offer this snuggly pup a happy home? If you are interested in fostering wonderful pets like Bear, please fill out a Foster Family Application. If you are interested and have already completed your Foster Application, please email info@pactforanimals.org and let us know!